Old, unfashionable logos and brands are now popular ? Like anyone, who experiences the torrid task of trying to dress to impress, when at school, be it primary or secondary, no matter what you wore someone, would be ridiculed. In every school in Europe at least, you generally have the same template in each school year. Popular best-looking girl and boy, the sporty crew, the goth’s, the nerds and the wanna-be gangsters. As a whole fashion’s style, fits, materials, colours, fabrics and logos has flourished, in my humble opinion and the list could go on and on, with regards to this. When you look back the fashion through the decades there is usually an image affiliated with that time. 70’s were disco and flares. The 80’s were namely shoulder pads and shell suits. 90 was the time of oversized t-shirts and chunky trainers. Finally the 00’s had slimmer trousers and denim. I personally have never followed trends and never will. Although I don’t think it was possible to be fashionable in my youth, the 90’s. 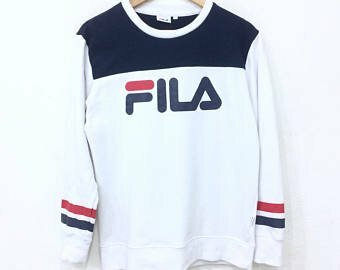 Oversized t-shirts, brands like Champion, Fila, Ellesse, huge chunky Rockport’s and so forth, were both deemed cool and very uncool in that era. I have to say looking back apart from the 80’s mess, 90’s is easily the worst fashion decade. This is obviously all my own opinion, but I feel I have good reason to not like it, I mean I had to endure the decade as a teenager. What I’ve noticed though recently, does have something to do with the 90’s. 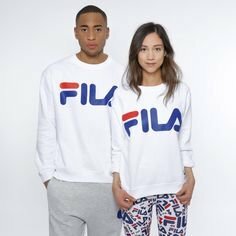 Brands like Fila for example, were deemed very uncool, in comparison to, kickers and if you wore that particular brand you were ridiculed, at least at my school anyway. You weren’t cool enough if you didn’t have the latest air max Nike’s and so on. All of this and yet somehow today, 17 years later, these brands and styles are now considered fashionable. I have no idea what to think when it comes to t-shirts, which out of date and certainly shape. I think that the trends are becoming more and more contrived as, we go on and it’s my duty as a personal stylist to keep the integrity of looking a sharp a priority for all. As I said before I don’t like trends and this one needs to go as soon as possible for the sake of fashion. Want to know more about Kieran Ryan?